Impressions - the number of times that the ad was displayed. Click-throughs - the number of times that it was clicked on. Click the Ads tab for the site you are interested in. Click the appropriate ad icon. This shows an icon for each site that the ad is currently being displayed on. Click the showing you want to show statistics for. Click the Spots tab for the site you are interested in. Click the appropriate spot icon. 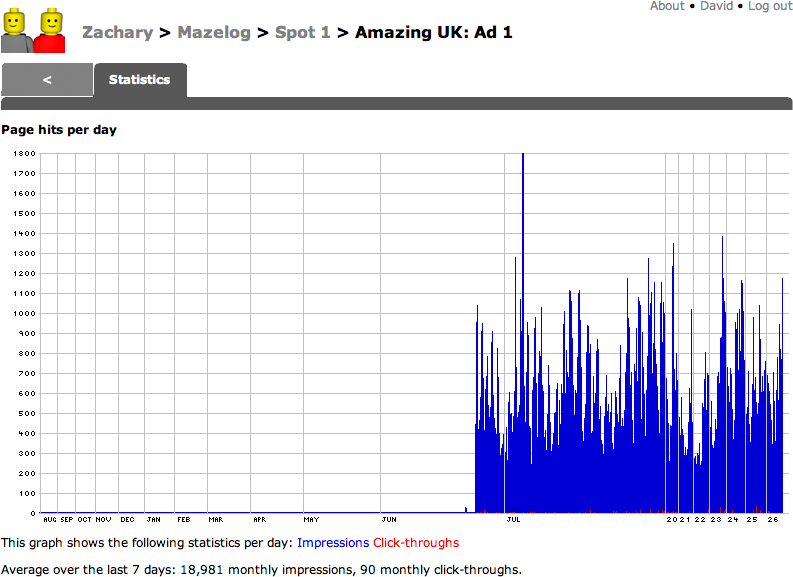 Click the ad graphic that you want to display statistics for. If you have multiple ads being displayed on a spot, the Impressions figure should be almost identical for all the ads, but the click-throughs will depend on the popularity of each ad.